You may have read that the city of Antwerp surrendered on October 10th. The Germans gave notice that they were going to bombard the city on October 6th. The Belgian government left and general evacuation took place the following day. Henry is now in France. He has set up another Field Hospital, this time in Furnes, 15 miles east of Dunkirk. He has been visited by Nobel Prize winner Marie Curie, the discoverer of two elements (polonium and radium). 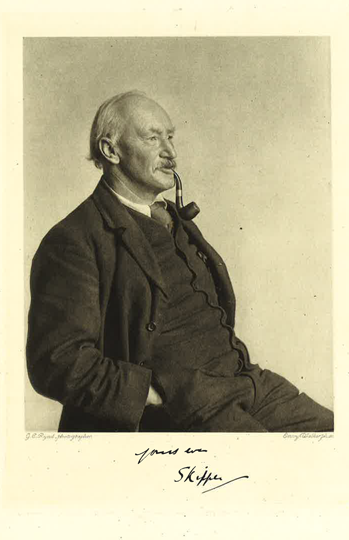 “One of our most distinguished and most welcome visitors was Madame Curie, the discoverer of radium. She brought her large X-ray equipment to Furnes for work amongst the wounded, and we persuaded her to stay for a week. Marie Curie is determined to bring X-ray facilities to as many hospitals as possible. 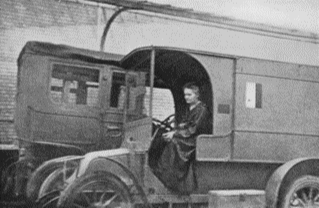 At her own expense she has converted a number of vans (nicknamed ‘Petites Curies’) and trained radiographers to operate them. Whilst not all hospitals have not taken advantage of her expertise, Henry has welcomed her with open arms. Now it is possible for surgeons to see more of the shrapnel, bullets and other materials that need removal in the operating theatre. Prior to this it was often necessary to open up a patient a number of times, when infections revealed the existence of further foreign bodies.